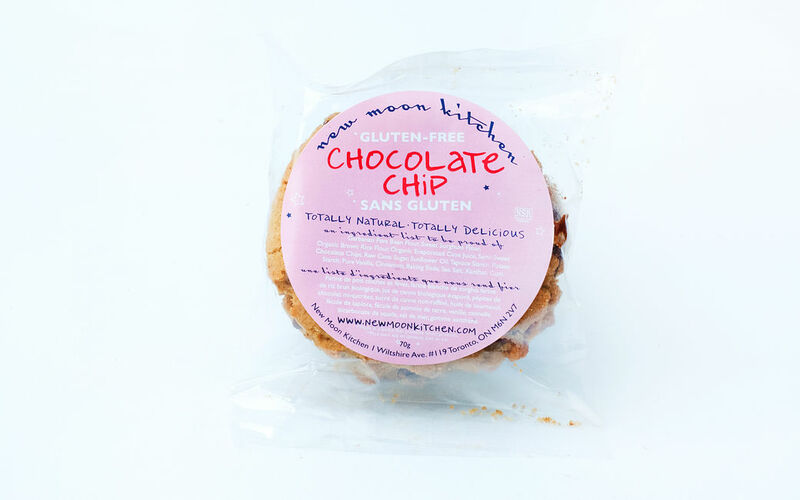 Everyone loves chocolate chip cookies, so New Moon Kitchen™ made this amazing gluten free version of an all-time favourite. A simple vanilla-infused dough, packed with semi-sweet chips. Garbanzo fava bean flour, sweet flour, sweet sorghum flour, organic brown rice flour, organic evaporated cane juice, semi-sweet chocolate chips, raw cane sugar, sunflower oil, tapioca starch, potato starch, pure vanilla, cinnamon, baking soda, sea salt, xanthan gum.